In their book, Ultimate Guide to Facebook Advertising: How to Access 600 Million Customers in 10 Minutes, authors Perry Marshall and Thomas Meloche detail the ins-and-outs of advertising your goods and services to users of the hugely popular social network. In this edited excerpt, the authors lay out the basics of Facebook advertising for first-timers, including how to measure a campaign's effectiveness. There are a few fundamentals that you must know before you begin spending your hard-earned cash advertising your business on Facebook. These terms and definitions are so important that you really should understand them comfortably and completely before giving Facebook your credit card and telling them to have at it. 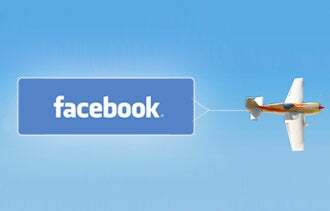 An ad in Facebook is content displayed to Facebook users at an advertiser's specific request. Up to five different ads may show at one time. Where ads are displayed, what they are called, how they work, how they are presented and how many are shown at a time are subject to change at any time. Here are six terms you'll want to get familiar with before embarking on a Facebook advertising campaign. 1. Impressions. Every time an ad is displayed, a user could potentially read the ad. Facebook calls that an impression; it's an opportunity for someone to see your ad. For example, if an ad has 1.4 million impressions, then the ad had 1.4 million opportunities to be seen. But that doesn't mean 1.4 million separate people have had the chance to see the ad. The estimated reach for this ad is 200,000, the number of Facebook users who meet the criteria that the advertiser has selected for people the advertiser wants to see the ad. If an ad has 1.4 million impressions and an estimated reach of 200,000 people, we know that, on average, each of those 200,000 people has had seven opportunities to see the ad. Most people don't click on an ad on the first impression. As users browse Facebook, moving from page to page, the same ads are displayed multiple times. If the ad title is good and the ad image is compelling, the ad may capture a Facebook user's attention and they may actually read the ad. If the user clicks on the ad, he is taken to a new destination specified by the advertiser. Facebook captures and reports the number of times all users have clicked on each ad. One of the first questions everyone asks is "How well is my ad working?" There are many measures, but we'll focus on whether the ad encourages users to click. 2. Click-through rates. Facebook reports how well an ad encourages a user to click, in a statistic called the click-through rate (CTR). This identifies how many impressions it takes, on average, before a user clicks on the ad. CTR is the number of clicks divided by the number of impressions. If your ad had 1,000 total impressions and users have clicked on the ad 10 times, then your CTR is 1%. 3. Landing pages. The page that is displayed after a user clicks on an ad is called a landing page. The advertiser specifies the landing page when the ad is created in a field called destination URL. You can send a user who clicks on an ad anywhere that doesn't violate Facebook's landing page policies. You may send users to your own web page or you may send users to other locations within Facebook -- such as a Facebook page, event, application or group. 4. Cost-per-click. Facebook does not display ads out of the goodness of its heart. It wants cold, hard cash. You have to provide a credit card before Facebook will even think of displaying your ad. Once it has your payment information, it lets you create an ad. During this process it asks if you want to bid for clicks or for impressions. If you choose to bid for clicks, you will be charged only if a user clicks on the ad. You can specify the amount you are willing to pay for a click, the cost-per-click (CPC), starting at one cent per click. If you say that you are willing to pay a maximum of 45 cents for a click, then that is the most you will be charged for a click. Technically, you are bidding on the ad space, against other unknown advertisers. Initially, the higher your bid, the more likely your ad will be displayed. After a few thousand impressions, additional factors affect the cost of your ad, including the click-through rate and whether users "like" or complain about your ad. The good new is that Facebook reserves the right to "lower the price" you pay per click, and usually does. 5. CPMs. You may also select to bid on impressions instead of clicks. In the Facebook interface, pay per view is labeled CPM, short for cost per thousand impressions. (Mille means 1,000 in Latin.) You can pay to have your ad displayed 1,000 times whether or not anyone clicks on it. 6. Reach and frequency. Ads display on Facebook multiple times to the same user. The number of individual people who have seen your ad during a specific period is called reach. The average number of times each individual user has seen your ad is frequency. But as the frequency gets high, you face ad fatigue. Even if the ad is excellent, your prospects stop clicking on it because they have grown tired of seeing it. This article is an excerpt from Ultimate Guide to Facebook Advertising available from Entrepreneur Press.